February was a month of portraits. This is a portrait of my eleven year old son. I love this age between young adult and child. There’s so much love, innocence and potential all wrapped up in a beautiful face. This is 24″x 30″ acrylic on canvas. Copyright Wendy Kwasny 2018. All rights reserved. 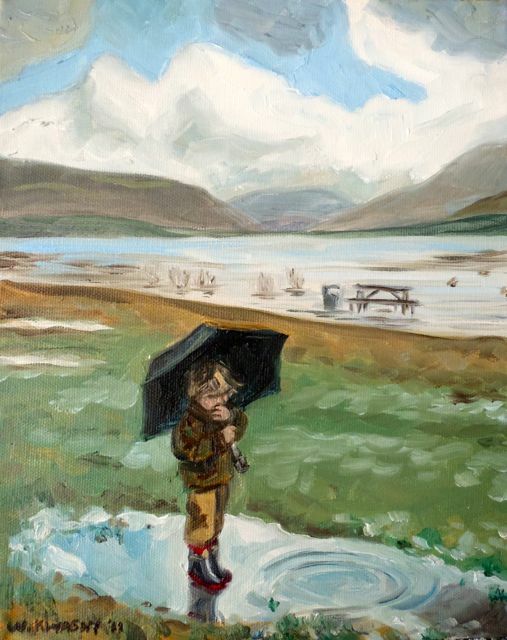 This is my most recent painting, “Puddle Stomp”, It’s a painting of my son playing in the rain at Otay Lake, in San Diego. It was a gorgeous day, with great light. 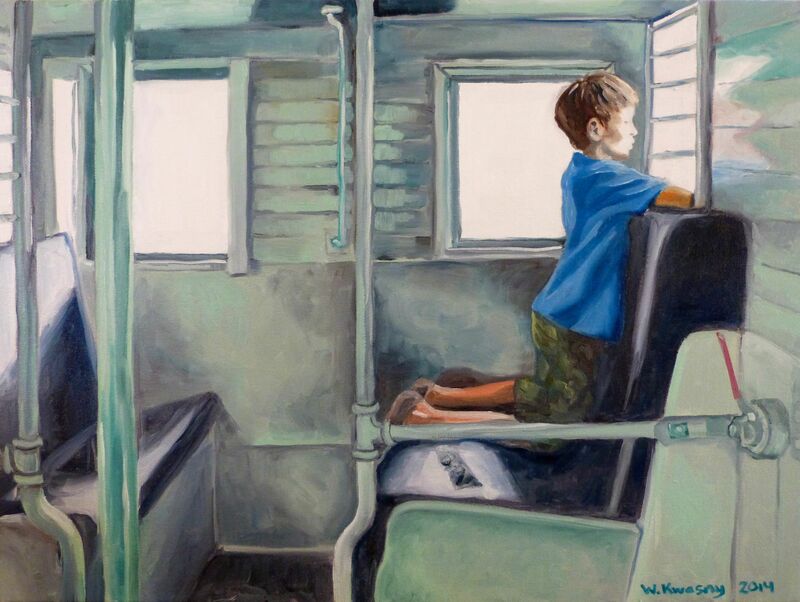 I worked this painting from a photograph I took on that day. I completed a new painting of my son this week. I was inspired by some artwork I saw in a Starbucks in a local neighborhood, Kensington. I wish I could remember the artist’s name. Anyway, I thought I would try a less literal and more illustrative approach to my next portrait and this is what I came up with. 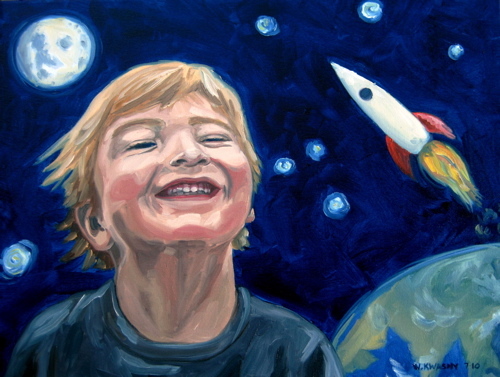 My son is totally obsessed with all things space and space related, whether real or imaginary. This is my little tribute to him and his amazing spirit.